Over the summer Google will be releasing a new version of their web browser, Google Chrome. This update will bring a change to how they are displaying website addresses. What’s the difference between http:// and https://? A website URL which begins https:// in the browser address bar will show a green padlock and secure message. To achieve this the website will be using SSL encryption. “SSL” stands for secure sockets layer and provides protection for the data shared between the web server and the browser. 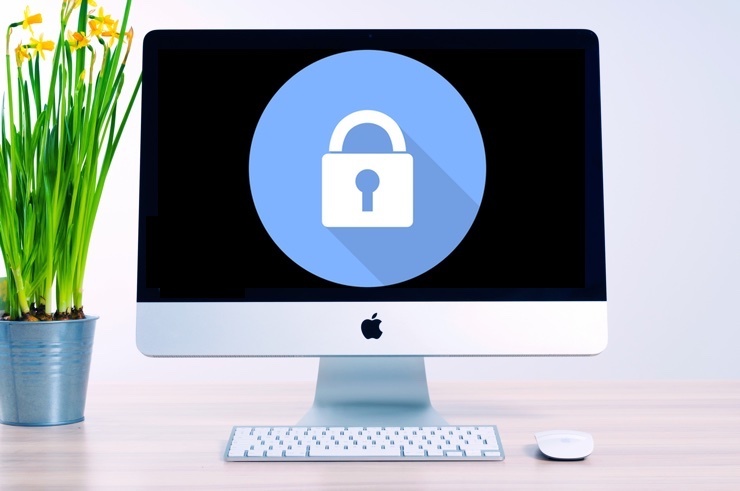 Without SSL encryption any data shared on your website is insecurely passed between the web server and browser, and has the potential to be intercepted. Where sensitive site data, such as card payments are being passed, SSL encryption is crucial and it’s important to note that all card processing services integrated with Create’s checkout already use SSL. This ensures the card details entered by your customers will always be encrypted. This change is part of Google's plan to gradually increase the awareness of web site visitors that a site is not encrypted. In the future Google intends to display this message in red, and whilst a website without https:// may be perfectly safe to view, Google’s message could be very off-putting to site visitors. Is my website affected by the browser update? 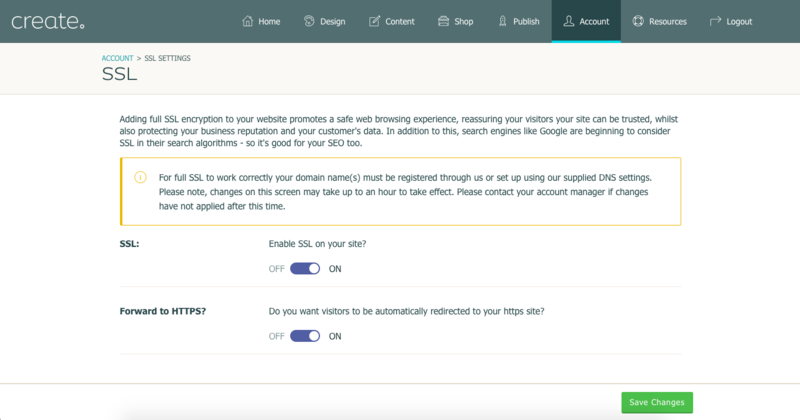 If your website doesn’t have full SSL encryption your visitors will see the ‘Not Secure’ message when visiting any page of your website using Chrome. We also expect Firefox to follow suit in the coming months and increase the importance of messages to visitors. If you haven't yet switched to https:// we’d recommend moving to full SSL encryption as soon as possible. Aside from increased visitor trust and better sales conversion rates, you’ll be providing a secure experience for your customers. Plus you won’t need to worry about changing in the future as the warnings begin to have a greater impact. Google continues to give sites who've turned on encryption a search engine ranking boost too, so as more sites adopt the standard, sites without it will drop further down the list and be harder to find. How can I add SSL encryption to my website? Like Google and Mozilla we believe that over time all website owners should switch from http:// to https:// to help keep everyone safe on the web, and you’ll now find SSL encryption as standard with all our current packages - ensuring all website owners can easily implement https:// on their website. If you haven't enabled SSL yet, read our step by step eBook which talks you through the change and what to do. Download your copy here. You can also read our guides on how to setup SSL on your website. As always, get in touch with your expert Account Manager if you need advice on how this update affects your website.